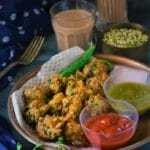 Paush vada /poshh vada is a very popular snack from the pink city Jaipur. 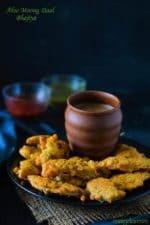 This poush vada is specially made in the winter during the months of December and January.Traditionally these posh vadas are made with Green moong daal, chouli ki daal and lobhiya but if all these three lentils are not available then you can make this with a mix of green moong daal and yellow moong daal. All the lentils are soaked and then washed to remove the skin and then ground coarsely. 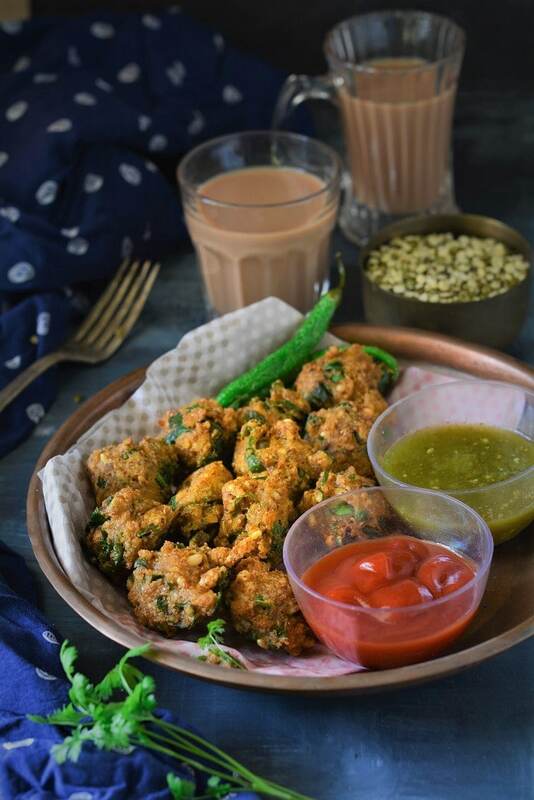 Few crushed and powdered spices are also added in these posh vadas .These spices are warm in nature (garam taaseer) to give some warmth in the chilly winter weather. 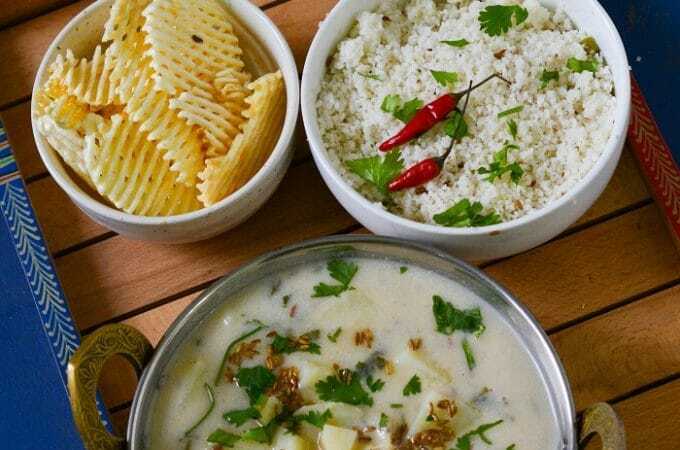 Cloves, peppercorns,whole coriander seeds,fennel seeds and cumin are pounded coarsely and then added in the batter. 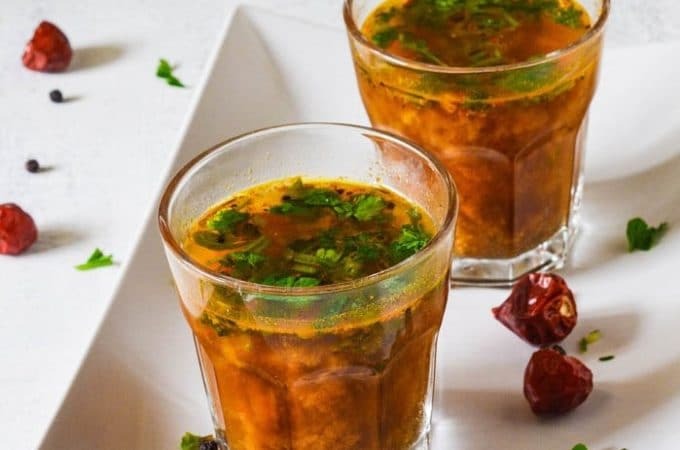 Lots of chopped greens are also added in it to add nutrition and crispness .You can add spinach or fenugreek or mix both.Ginger and green chilies are also added in good quantity. 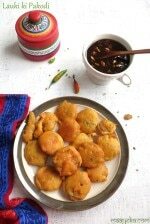 These paush vadas are made during the Hindi month Posh so they are named as posh vadas. 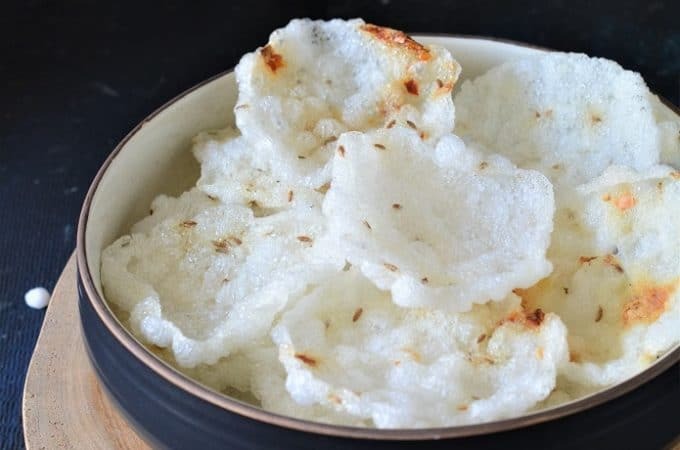 In Jaipur these posh vadas are offered as bhog in all the Hindu temples and then the prashad is distributed among all the devotes present in the temple . 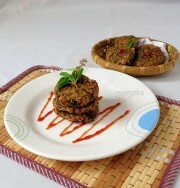 These posh vadas are very popular there and are also easily available in the road side stalls. Wash and soak all the lentils for 4-5 hours. Rub the lentils and wash to remove some of the skin from the soaked lentils. Now drain the water and grind the lentils and ginger and make a thick and coarse paste. 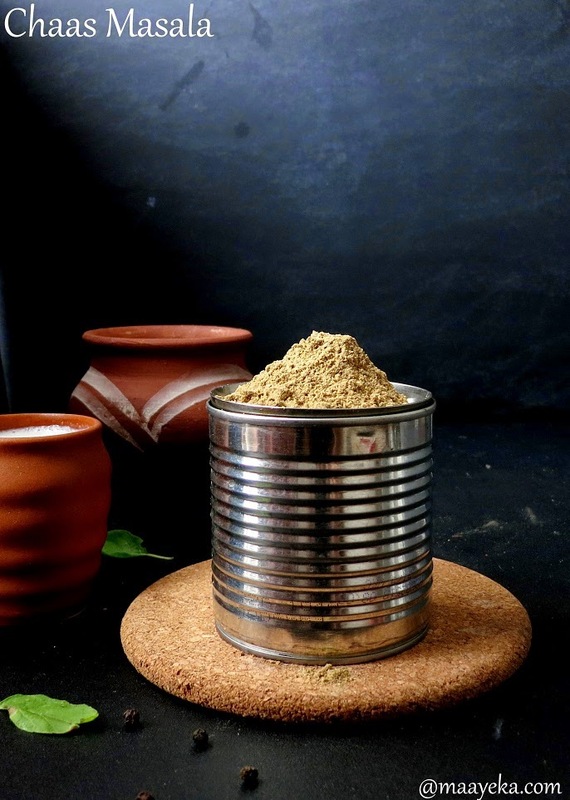 Take out the ground mixture in a wide bowl and keep aside. 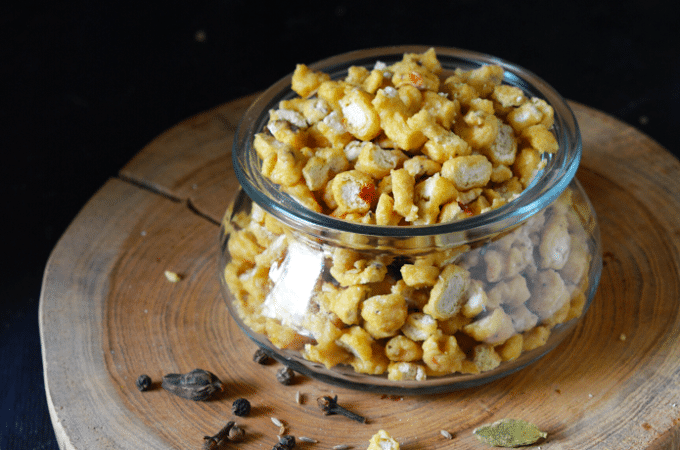 Coarsely pound cloves, pepper corns,fennel seeds,cumin and coriander seeds. Add the crushed spices and the remaining powdered spices in the lentil mixture and beat it well for a minute. Now add the baking soda and the chopped spinach, green chilies and mix well. Heat enough oil in a wide deep pan. 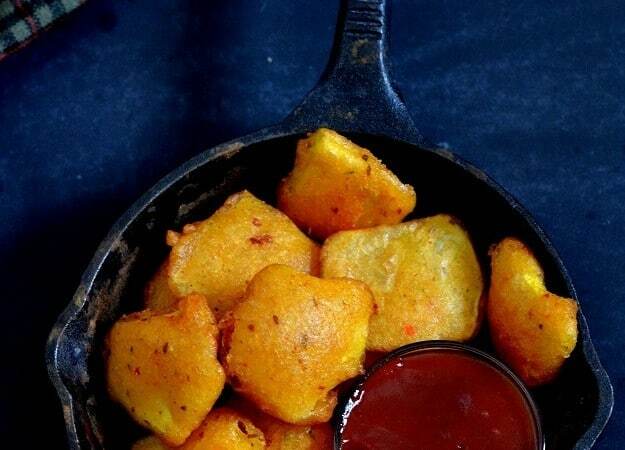 When oil become hot then drop spoon full of mixture in the pan, make just enough vadas to fill the pan ,don't over crowd the pan. 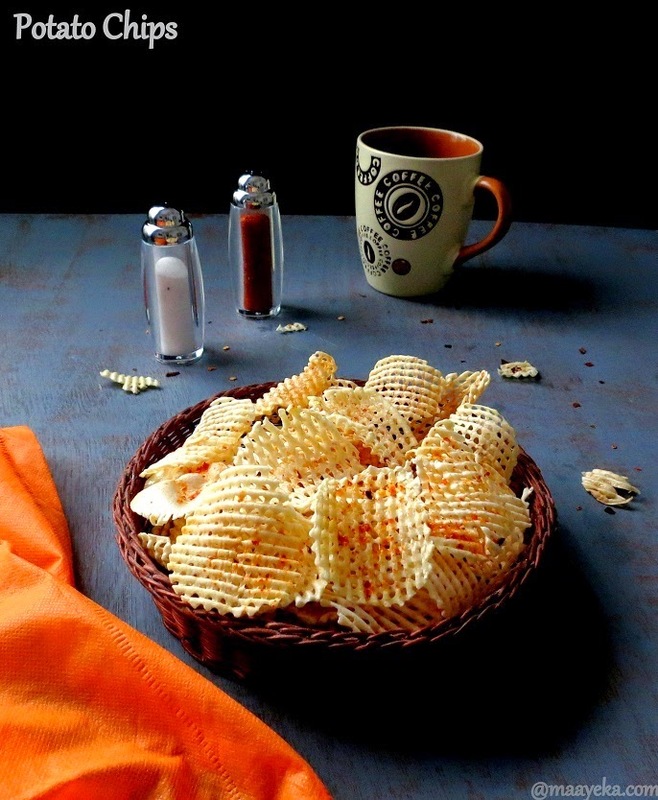 Let them cook on medium heat ,then flip and let them cook from both the sides till they become golden brown and crisp. 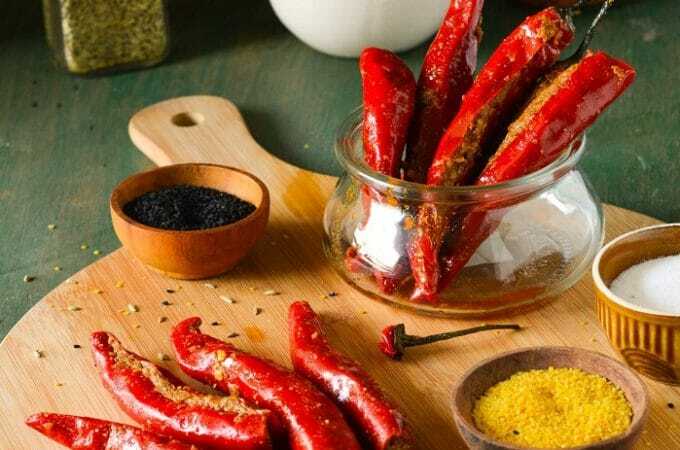 Prick few green chilies and then deep fry in the same hot oil,remove and sprinkle some chat masala over the chilies. 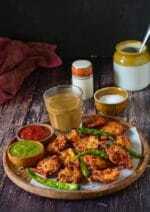 Serve hot crisp posh vadas with fried chilies ,green chili chutney and ketchup. 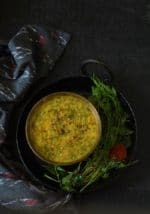 I have used green daal and mouth daal with skin but you can use daal with out skin/dhuli daal then you need not to wash the dal to remove the skin,can do both ways. 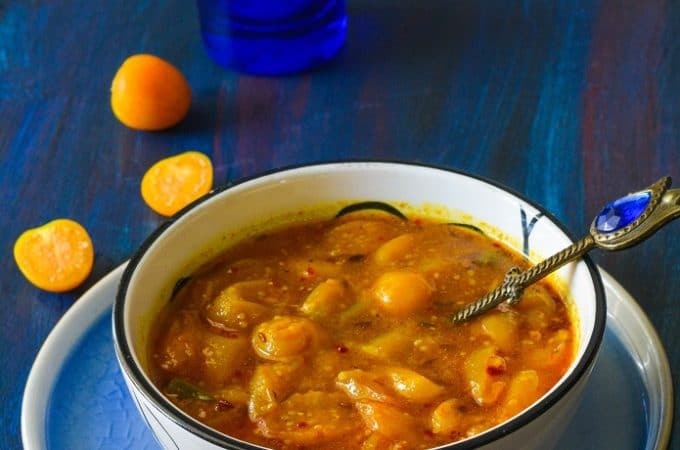 Hi recipe looks good. I’ll give it a try soon. 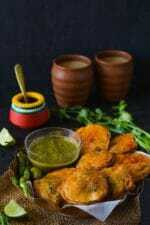 Will you share the green chilly chutney showed in your photo. Thx.